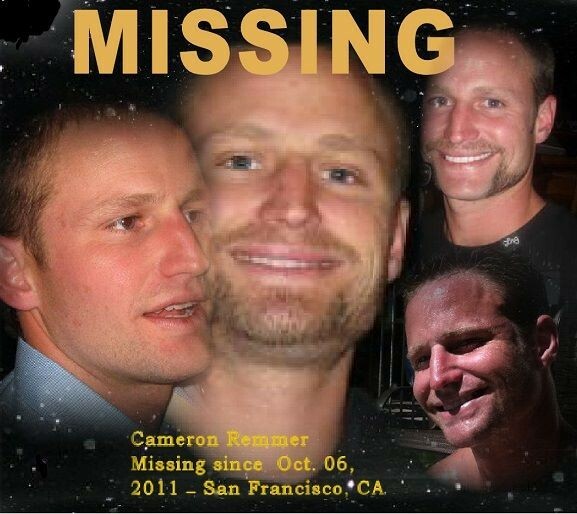 Last Seen Alive: New Television Series Features Cameron Remmer, Man Missing in S.F. 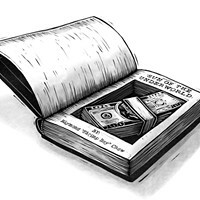 In early October, 2011, 29-year-old Cameron Remmer had traveled to from Encinitas, California to San Francisco with $30K in cash on hand. His was headed to the Bay Area with plans to expand his medical marijuana business here. On Oct. 6, 2011, Remmer checked out of the Fairmont Hotel and mysteriously disappeared, making no contact with friends or relatives or using his cellphone and bank cards. Three days later, Remmer reportedly returned to the hotel; he was incoherent and wearing two different shoes, according to a 2011 report by the Chronicle. He departed the hotel again, leaving behind all of his possessions he had stored with the bellman. He's not been seen or heard from since. His family has continued a frantic search for Remmer who they believe might have had a psychotic break. They say he is bipolar and is known to hallucinate, appear agitated or withdrawn. Now, Remmer's case is resurfacing three years later with the help of a new television series on Investigation Discovery dubbed Last Seen Alive which chronicles search efforts of 12 families desperate to locate their lost loved ones with the help of a professional investigator. Jeff Vanderwal, series producer of the show, says producers were interested in highlighting a case locally in part because of all the men who have gone missing in San Francisco in the last few years. But they chose Remmer's story because his family was ready to learn more about what happened to him. "The family was in a place where they had sifted through his banking and phone records, and realized there was likely more to learn if they could go back and follow his trail in the days leading up to his disappearance," Vanderwal told SF Weekly in an e-mail. "It also seemed that, based on the circumstances of his disappearance, there was more to be learned and a chance that we might find him during the search." Remmer's case will be one of two featured on the episode "A Cry for Help" which airs on June 8 at 9/8c. "With any case we're looking for ways that our process can genuinely help the family," Vanderwal said. "The goal is to bring the missing home and, if we don't find them during the search, our hope would be that the exposure from the series might bring about new information and tips that will lead to them being found." His siblings, Chelsea Gladden and Curtis Coles, are worried that Remmer might be on the streets unaware of his own identity and possibly off his medication. 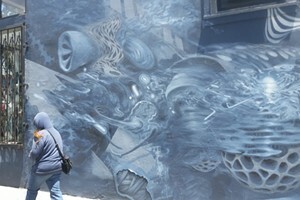 Their private investigator, Tom Klatt, suspects foul play, perhaps in connection to his marijuana business. Klatt and his siblings have picked up where the cops left off, interviewing people who knew Remmer and trying to find new clues that might lead them to Remmer. Remmer is described as a white man standing about 70 inches tall and weighing 170 pounds, He has sandy blonde hair that was short at the time he went missing. His family believes he could appear disheveled with a grown beard. He doesn't wear glasses, however, police state that he purchased 20 pairs of dark sunglasses, according to the Facebook page dedicated to finding Remmer. He is known to wear tennis shoes and sometimes wears two different shoes. He also wears mostly tee shirts and shorts for the most part. Could have sweatshirt or knit hat. Anyone with information about his whereabouts is asked to call 415-734-3145.